Trump sends top diplomat to Saudi Arabia over missing journalist - Integration Through Media ....! 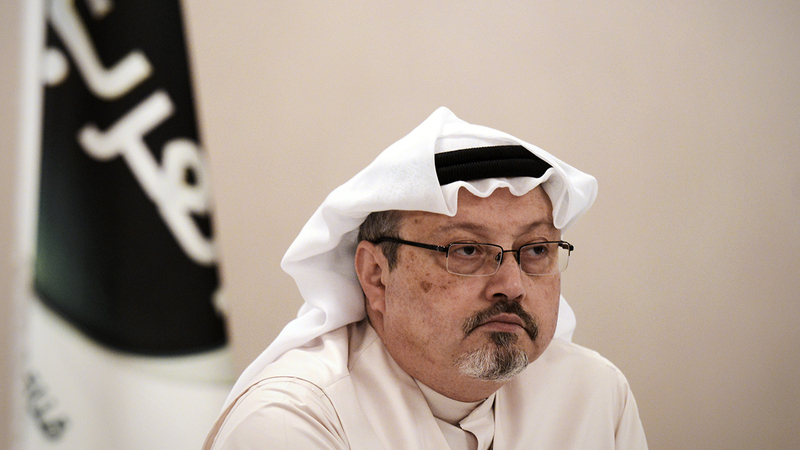 WASHINGTON, (AFP) – US President Donald Trump said Monday he is sending his top diplomat to Saudi Arabia after Saudi King Salman told him in a phone call that he has no idea what happened to missing journalist Jamal Khashoggi. “Just spoke to the King of Saudi Arabia who denies any knowledge of whatever may have happened ‘to our Saudi Arabian citizen,'” Trump said in a tweet, adding he was “immediately sending” Secretary of State Mike Pompeo to meet with the king. Trump has taken a cautious position since the disappearance of Khashoggi — a Washington Post contributor and critic of powerful Saudi Crown Prince Mohammed bin Salman — after he entered the Saudi consulate in Istanbul. Trump has threatened “severe punishment” should proof emerge to back claims that Saudi agents killed Khashoggi and disposed of his body. However, the US president has repeatedly made clear that he will not risk billions of dollars in deals to sell weapons to the kingdom, which is a strategic ally in the tinder box Middle East. Lurid claims have appeared in Turkish media, including that Khashoggi was tortured and dismembered. However, the Turkish leadership has so far refrained from pointing the finger directly at Riyadh in public comments. The controversy has troubled Saudi Arabia’s traditional Western allies — many of them arms suppliers to the kingdom — and also undermined efforts by the prince, Mohammed, to present himself as the modernizing future of the kingdom. An investment conference seen as a platform for the crown prince, due to take place next week in Riyadh and dubbed “Davos in the Desert,” has been hit by a string of prominent cancellations. In Washington, Trump’s son-in-law and senior advisor, Jared Kushner, is coming under pressure after having spearheaded the administration’s strategy to forge close ties with Mohammed. “If more information comes out over the next week, I will obviously take that into account,” he said.